As per EURUSD weekly chart and analysis, we are expecting EURUSD to be range bound in between 1.2481 and 1.1457 for the next few weeks. EURUSD is in its long term downward trend as per monthly chart and major resistance remains at 1.2258 and 1.2481 levels. And major support for the currency pair remains at 1.1457 and 1.1294 levels. As the currency pair is trading near its major support as well as near to its short term support trend line, we are expecting EURUSD to appreciate from its current levels to 1.2258 levels in the next few days. Any breakouts of these support and resistance levels are important as breakouts may trigger further movement in the same direction. As per the daily chart, we can observe that the GBPUSD has bounced back from its major support and again started its upward journey from there on. We are expecting the currency pair to appreciate further from its current levels. The major and important resistance seems to be at 1.3197 and 1.3286 levels. 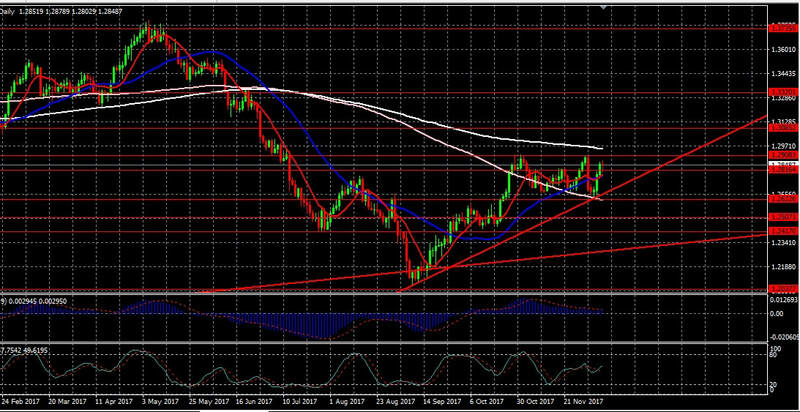 Breakout of these resistances may drag the currency pair to 1.3959 levels and major support at 1.3098 and 1.3052 levels. Any breakouts of support or resistance levels are important as breakouts may trigger further movement in the same direction. As per weekly chart, we can notice that USDCAD remained range bound for the last few weeks with a slight downward trend and may remain same for the next few days and may take support at 1.2673 and 1.2603. Our expectation is still intact as per our previous USDCAD report. The currency pair can’t have a clear direction until unless there is a proper break out in one direction. Currently the currency pair is having major support at 1.2536 and important resistance at 1.3211 and 1.304. Breakout of these levels may trigger further movement in the same direction of breakout and we can expect the currency pair to have trending movement. Here we have weekly candle stick chart of USDCAD and as per the chart we can notice that the currency pair has broken and trading above its medium term downward trend. The pair is also trading above its long term moving average. And as per the Ichimoku indicator the currency pair is trading above the cloud. So as per our analysis and technical indicators, we are expecting the currency pair to appreciate further from its current trading levels of 1.3128. USDCAD is having major support at 1.2986, 1.2960, 1.2895, 1.2817, 1.2673, 1.2527 and 1.2441. The currency pair is having major resistance at 1.3304, 1.3552, 1.3693, 1.3813 and 1.3953 levels. Any breakout below 1.2527 and 1.2441 levels may trigger further significant downward movement to 1.2039 and 1.1212 levels. Any breakouts of support or resistance levels are important as breakouts may trigger further movement in the same direction. Buying at 1.2986 with a Stop at 1.2950, Target at 1.3304 and 1.3552 levels. Selling below 1.2950 levels with a Stop at 30 pips and Target at 1.2817. Buying at 1.2817 with a Stop at 1.2779 and Target at 1.2986, 1.3103 and 1.3304 levels. Selling below 1.2780, Stop at 35 pips, Target at 1.2673, 1.2536 and 1.2441. Buying above 1.2536, Stop at 1.2500 and Target at 1.2673, 1.2817, 1.2986, 1.3103, 1.3304, 1.3552 and 1.3693. Buying above 1.3304, Stop at 35 pips and Target at 1.3552, 1.3693, 1.3813, 1.3953 and 1.4168. Any trigger of stop indicates further revision of strategies as stop loss trigger can drag the prices further in the same direction of stop loss or a change in price direction. So one should be careful and should watch the prices for some time before taking any decision on such events. As per the daily GBPUSD candle stick chart, we can clearly notice that the currency pair, currently trading at 1.3090 levels is moving in a downward trend and has broken major support levels of 1.3286 and 1.3197. The pair is also trading below its long term moving averages. As per our analysis and technical indicators, we are expecting the currency pair to depreciate further from its current levels but there may be some short term correction to 1.3286 and 1.3330 levels due to major resistance levels. We are expecting the GBPUSD to have major resistance at 1.3330 and the currency pair may again start depreciating from that level. Any breakout above 1.3330 levels may force the currency pair to appreciate further to 1.3476 and 1.3598 levels. And any breakout below 1.3052 levels may trigger further downside movement to 1.2867 and 1.2708 levels. Any breakouts of support or resistance levels are important as breakouts may trigger further movement in the same direction. Selling at 1.3330 levels with a Stop at 1.3360, Target at 1.2867 and 1.2708 levels. Buying GBPUSD above 1.3360 with a Stop at 1.3330, Target at 1.3476 and 1.3598 levels. Selling below 1.3050 levels with a Stop at 30 pips, Target at 1.2867 and 1.2708 levels. Buying at 1.3065 with a Stop at 1.3035 and Target at 1.3197, 1.3286, 1.3330, 1.3476, 1.3598, 1.3648. ​As per the 4 hour USDCAD candle stick chart, we can notice that the currency pair has broker and trading below its upward trend line. The pair is also trading below its support lines of 1.2918 and 1.2881 as well as trading below its medium term moving average. It seems like after a long upward movement the currency pair is having some correction. As per our analysis and technical indicators, we are expecting the currency pair to depreciate from its current levels. We are expecting the currency pair to take support at 1.2622 levels and may bounce back from those levels. Any breakout below 1.2610 levels may force the currency pair to depreciate further to 1.2446 and 1.2380 levels. And again at 1.2380 levels one can have a ideal buy strategy for the long term. Still risk management is important so one should trade with appropriate stop loss. Any breakouts of support or resistance levels are important as breakouts may trigger further movement in the same direction. So as per the technical analysis, the ideal strategy for trading USDCAD in the next few days should be selling below 1.2881 levels with a stop above 1.2920 and target around 1.2630 and 1.2390 levels. And one may buy the pair around 1.2620 and 1.2380 levels with a 35 pips stop loss or buy above 1.2945 levels with 35 pips stop for a target of 1.3120. Any trigger of stop may indicate further revision of strategies as stop loss trigger can drag the prices further in the same direction of stop loss. So one should be careful and should watch the prices for some time before taking any decision on such events. As per the 4 hour chart of GBPUSD, we can notice that the currency pair has clearly broken its support and we are expecting the currency pair to depreciate further from its current levels. As per the price movement and technical indicators, we can expect the currency pair to depreciate in the short term within a next few days and can take support near its long term moving averages and near its short term upward trend line. The currency pair may bounce back from its short term upward trend line around 1.3437 levels but we need to be very careful around those levels as there are multiple supports around those levels and breakout of those level will trigger further downward movements. So the ideal strategy for trading this currency pair should be selling at the current levels and booking profits around 1.3437 and 1.3420 levels. And breakouts of support or resistance levels are important as breakouts may trigger further movement in the same direction. Shorting GBPCAD at the current levels of 1.3520 with a stop loss of 35 pips and buying near its support levels of 1.3437, 1.3420 and 1.3330. If stop-loss triggers then the position should be reversed again with a 35 pips stop-loss. Breakout of support and resistance levels may create opportunities for further profits. As per the daily chart of USDCAD, we can notice that the currency pair was moving in the upward direction and currently range bound. As per the price movement and technical indicators, we are expecting this currency pair to appreciate further from its current levels. The currency pair is also moving in line with our previous reports. The pair got supports at 1.2816, 1.2698 and 1.2621 levels and resistance at 1.2908, 1.2955 and 1.3008 levels. So the strategy for trading this pair should be buying at support levels and covering the positions near its resistance levels. Breakout of support or resistance levels will trigger further movement in the same direction. Buying USDCAD at its nearest support and selling near 1.2955 with a stop-loss of 35 pips and targets should be near its support and resistance levels. And if stop-loss triggers then the position should be reversed again with a 35 pips stop-loss. As per the weekly chart we can notice that for the past few weeks the GBPUSD is appreciating and moving in a upward trend. Currently GBPUSD is moving in a narrow range and is indecisive phase. This is phase of caution and indicates a wait and watch strategy. As per the resistance and support levels we can expect the currency pair to appreciate further from its current level in the short term, may be up to 1.3480 where there is a strong resistance as per Ichimoku kinko hyo indicator. Breakout above this level may trigger further buying pressure and the currency pair may appreciate further to its next resistance levels of 1.3876. GBPUSD is having strong support near 1.2738 and 1.2678 levels and breakout of these levels may trigger further selling pressure and the currency pair may depreciate to its next support levels of 1.2238. As per the daily chart of EURUSD, we can observe that the currency pair is moving in a downward trend and trading below its long term moving average which is also acting as a major resistance. As per the price movement and other technical indicators of this currency pair, we are expecting this currency pair to further depreciate from its current levels in the next few days. We are expecting EURUSD to have strong resistance at 1.1690 levels and may act as best selling price. So the strategy for trading this pair should be shorting the EURUSD pair at 1.1690 levels and covering positions near 1.0960 levels and again start buying around 1.0960 levels. As per our previous analysis of USDCAD currency pair, we expected the currency pair to appreciate in this week from 1.2500 levels after a short correction. But unfortunately the currency pair didn’t given us an opportunity to buy at 1.2500 levels and taken support from 1.2621 levels. And the currency pair started appreciating from that level. Anyone who has bought the currency pair at 1.2621 levels would have gained some pips. Currently as per the observed moves of the USDCAD, we are expecting it to further appreciate to its next resistance levels of 1.2999 and may start correcting from those levels. Price breaking above 1.3000 levels may trigger further buying pressure for USDCAD and can drag the currency pair to 1.3205 levels. As per the technical analysis our trading strategy should be buying on dips may at the levels of 1.2755, 1.2665 and 1.2625. One can see strong support and huge buying pressure at 1.2500 levels. It’s the continuation of the previous GBPUSD report. As per the daily GBPUSD chart, we can observe that the currency pair is trading near its support and near its lower trend line. The currency pair is also trading near its long term moving average and lower CG channel providing major support to the currency pair at the current price levels. So, purely on the basis of technical analysis, we are expecting this currency pair to appreciate from its current levels in the next few days. As per the daily chart we can notice that for the past few weeks the GBPUSD is appreciating and we expect the currency pair to appreciate further from its current level in the mid term, may be up to 1.4800. Breakout above this level may trigger further buying pressure and more demand for the currency pair which will result in further appreciation. Meanwhile in the short term we are expecting the currency pair to have some corrections. As per RSI and other few indicators the currency pair seems to in the overvalued range and gives us a single of some correction in the short term after a straight long run in the upward direction for the past few weeks. The currency pair is also moving near its strong resistance of 1.3600 & 1.3636 and may start depreciating from these levels. So we need to be very careful and watchful around these levels along with the major important news that may affect the currency pair. As per our analysis, we are expecting the currency pair to depreciate from its current levels in the short term. As per the 4 hour chart we can observe that the EURUSD is in upward trend for the last few weeks and sustained its upward rally, appreciating more than 500 pips since June 20, 2017 and well above its long term moving averages. But the pair seems to be moving in an upward channel and has already touched its upper channel line. The pair is also trading near its strong resistance. And as per MACD, it is also reflecting a kind of negative divergence. As per our analysis, we are expecting the currency pair to depreciate from its current levels in the coming days. The EURUSD may consolidate at its current levels with a little bit of fluctuations and then may start depreciating from there on for a short term period as a correction. As per hourly chart, we can observe that the USDCAD is depreciating and in downward trend. The pair is trading below its support and long term Moving Averages. On hourly chart and purely on the basis of technical analysis we are expecting this pair depreciate further from its current levels. We can expect the pair to take support near 1.2410 and to consolidate at that level. We are expecting USDCAD to bounce back from those levels and may appreciate from that price.